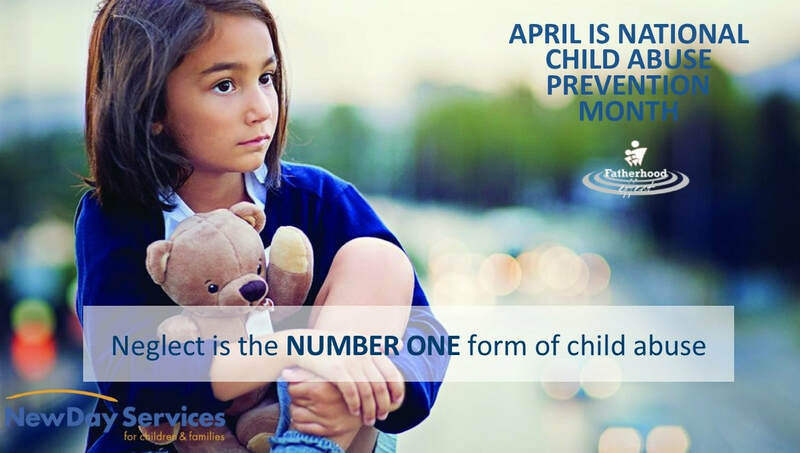 NewDay encourages YOU to celebrate National Child Abuse Prevention Month with us. Help us raise awareness and prevent child abuse. ​​​AND 172 children in Texas died at the hands of their parents or caregivers. NewDay Services' Healthy Parenting Programs help parents gain the tools to redirect their lives and maximize their influence in the lives of their children. Programs through NewDay's Family Services offer Anger Management and Co-Parenting Skills Classes. More information. ​The NewDay Fatherhood: EFFECT (Educating Fathers for Empowering Children Tomorrow) Program is funded through a grant from the Department of Family and Protective Services, Prevention and Early Intervention Division and is a fatherhood program accepting participants on a self-referral or voluntary basis. for more information: click here.